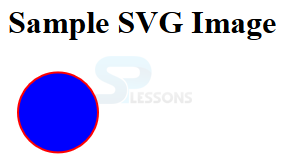 This chapter demonstrates about the SVG Overview which contains creating the SVG images and using those images in appropriate manner. By using SVG user can also create the animated images following are the concepts covered in this chapter. SVG can be created by using two methods. those are Hand Coding or Popular vector image editor software’s. Many vector image editors are available for the users some of them are listed below. In above software’s Adobe Illustrator is the most commonly used software. Inkspace is one of the best software to design the SVG images. 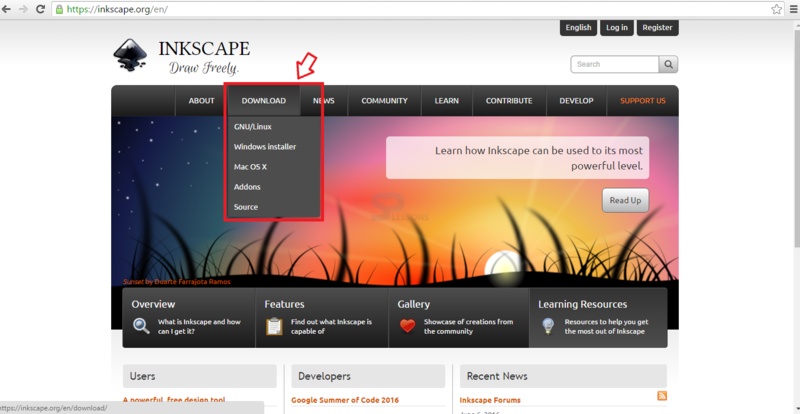 User can get the Inkspace from the official website of the Inkscape. 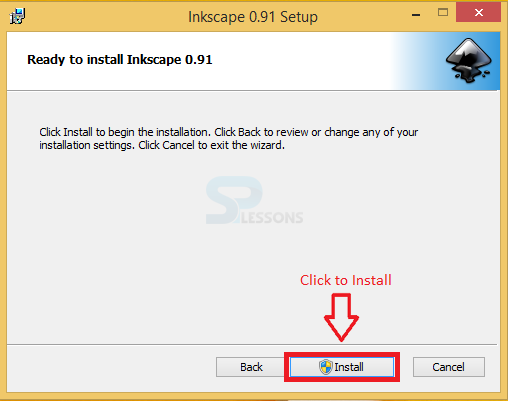 Follow below procedure for downloading and installing Inkscape. 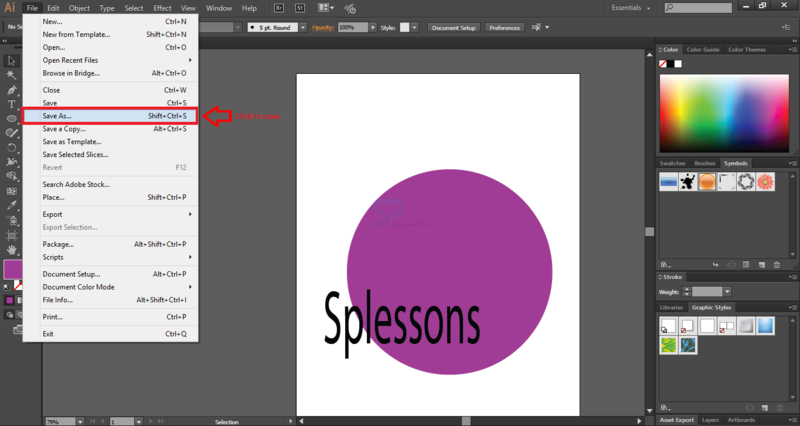 In order to Download the Inkscape user need to visit the official web site, now click the download menu and select the appropriate option from the drop down menu as shown in below image. After completing the Downloading process click on the Run to install the setup. Now a window get explored named as Welcome to Inkscape setup, click the Next button to continue the installation process as shown in below image. 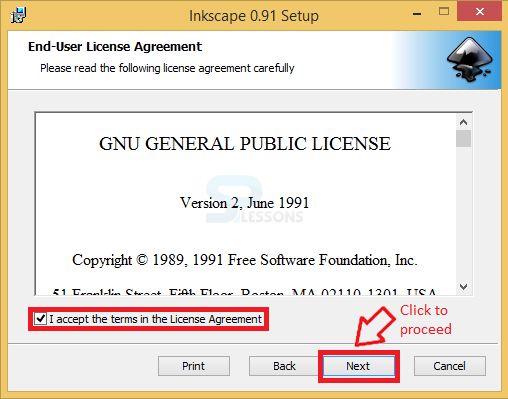 A window get explored named as End-User Licence Agreement in which user need to accept the licence agreement and click on the Next button to proceed the installation process as shown in below image. 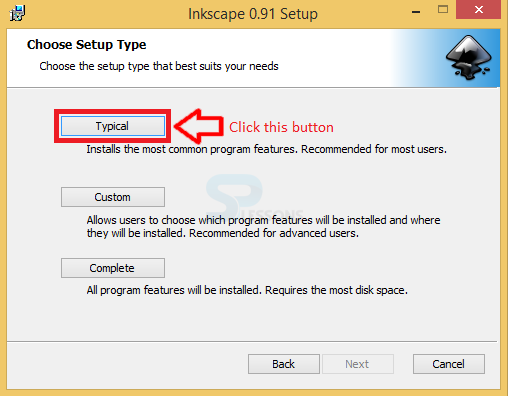 Now user need to choose the set up Type Click on the appropriate setup to install as shown in below image. 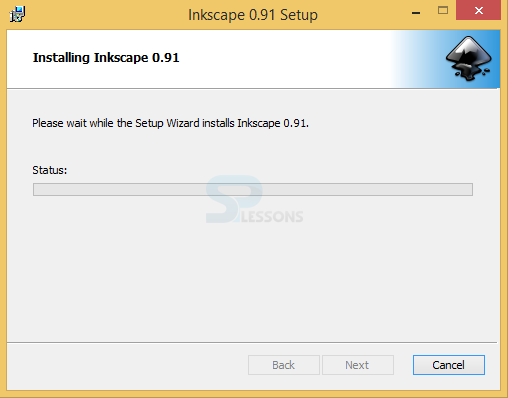 A window get explored named as Ready to install Inkscape then click on the Install button to start the installation process as show in below image. Now a window get explored with Installation status as shown in below image. 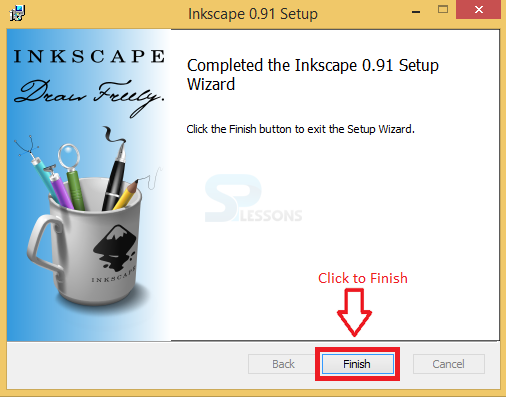 Finally user will get a window which is completed the Inkscape setup, click on the Finish button to complete the process. Adobe Illustrator is one of the best software to design the SVG images. In order to use the software user need to download and install. By using the Illustrator user can get the SVG code. The steps below demonstrates SVG coding with Ai (Adobe Illustrator). 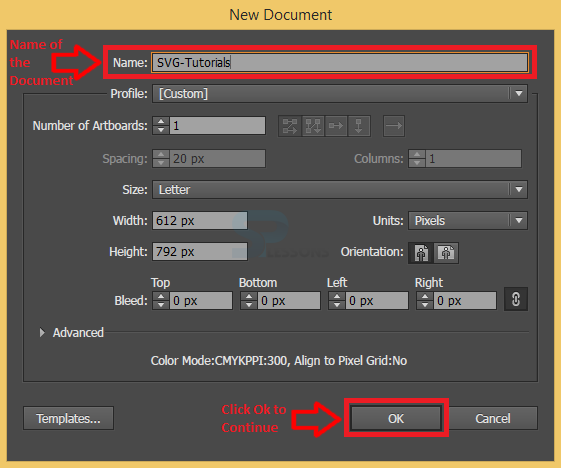 Open the Adobe Illustrator then user will get a new window named as New Document now enter the name of the document and proceed by clicking OK button as shown in below image. 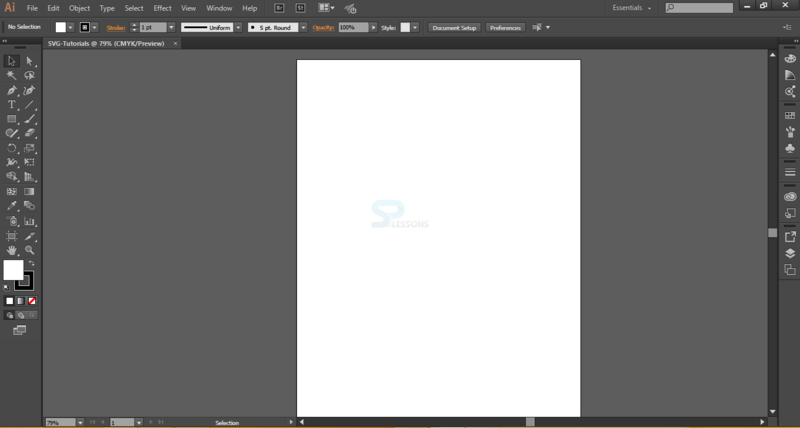 Now user will get Adobe Illustrator Dashboard with an empty Document where user can design the SVG images. The image below display the SVG Dashboard. After designing the Image user need to save the image by using the Save As option which is provided in file menu as shown in below image. Now user will get a dialogue box with a File Name, enter the file name and select the File Type and proceed by clicking the Save Button as shown below image. Now a dialogue box get explored named as SVG Options which consist of some properties like Fonts, Options and SVG Code select the appropriate property and proceed by clicking OK button as shown below image. By clicking on SVG Code user will get a code as shown below. The code below demonstrates the basic SVG. 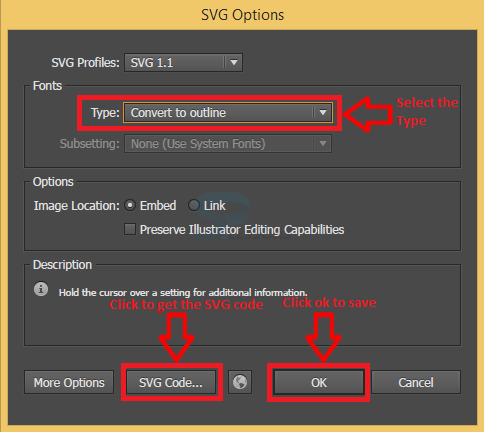 SVG Overview – By using Adobe Illustrator user can get the SVG code. SVG Overview – SVG supported by all the image formats. 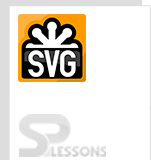 SVG Overview – Adobe Illustrator is the most used software for SVG.